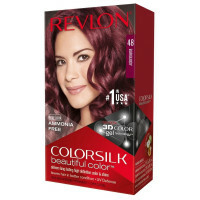 Uses Radiant, long-lasting rich color that leaves your hair in better condition. 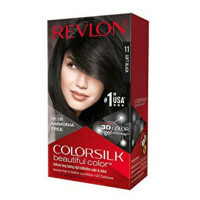 Gives you natural-looking, even color from root to tip that stays beautiful between colorings. Plus, it is formulated to penetrate every strand with its gentle, ammonia-free formula and after-color conditioner infused with nourishing silk proteins. 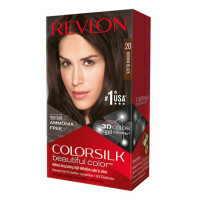 Hair looks silkier, shinier and healthier than before you colored. 100% gray coverage. 20 Brown Black: A rich, natural brown - the deepest you can get without going black. 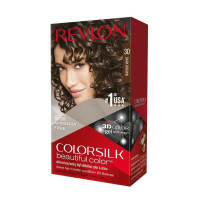 For current hair colors: dark blonde/light brown, medium brown, dark brown/black. Contains: Ammonia-free colorant 2 fl. oz. ; Cream color developer 2 fl. oz. ; Nourishing after-color conditioner 0.40 fl. oz. ; Application instructions; Gloves. Warnings HAIR COLORANTS CAN CAUSE SEVERE ALLERGIC REACTIONS. READ AND FOLLOW INSTRUCTIONS. CONTAINS ALLERGENS. TATTOOS, EVEN BLACK TEMPORARY HENNA, MAY INCREASE YOUR RISK OF ALLERGY. TO REDUCE YOUR RISK, A SKIN ALLERGY TEST MUST BE COMPLETED 48 HOURS BEFORE EACH TIME YOU USE THIS PRODUCT EVEN IF YOU HAVE ALREADY USED COLORING PRODUCTS BEFORE. THIS PRODUCT IS NOT TO BE USED ON CHILDREN. SAFETY: DO NOT USE THIS PRODUCT AT ALL IF: YOU HAVE A RASH ON YOUR FACE OR SENSITIVE, IRRITATED OR DAMAGED SCALP YOU HAVE EVER EXPERIENCED ANY REACTION AFTER COLORING YOUR HAIR YOU HAVE EVER EXPERIENCED A REACTION TO A PERMANENT OR TEMPORARY TATTOO IN THE PAST. IN THESE CASES, CONSULT A DOCTOR BEFORE USING ANY HAIRCOLOR PRODUCTS. BUY THE PRODUCT IN ADVANCE TO ALLOW THE 48 HOURS ALLERGY TEST. THE DEVELOPER CONTAINS HYDROGEN PEROXIDE AND THE COLORANT CONTAINS PHENYLENEDIAMINES AND RESORCINOL. THIS PRODUCT MUST NOT BE USED FOR DYEING EYELASHES OR EYEBROWS. TO DO SO MAY CAUSE BLINDNESS. AVOID CONTACT WITH EYES AND RINSE IMMEDIATELY IF PRODUCT COMES INTO CONTACT WITH THEM. WEAR SUITABLE GLOVES AND RINSE HAIR WELL AFTER APPLICATION. KEEP OUT OF REACH OF CHILDREN. THIS PRODUCT IS NOT INTENDED TO BE USED ON CHILDREN.